For Ark. Yes, they overwintered! They only open when the sun comes out – which hasn’t happened much in the last week. And my new seeds failed, too – so I hope these stick around for another year. Good for you! This is a beautiful specimen. I’m not sure I have this colour combination. I shall have to have a squizz around the garden tomorrow. I’ve been collecting seeds for the past fortnight and will be sowing in a month or so, Eventually I hope to have a large part of the flower beds covered in indigenous plants and the gazania will play a major staring role. My success here for native plants seem to be ground orchids – I have so many! And the grey willow, and the two ash saplings, and the yellow Iris…okay I’m not doing too bad! I’ve not seen them wild this colour… But they are in mad bloom today and the bees are allllllll over them! It looks like a floral version of candy sticks. 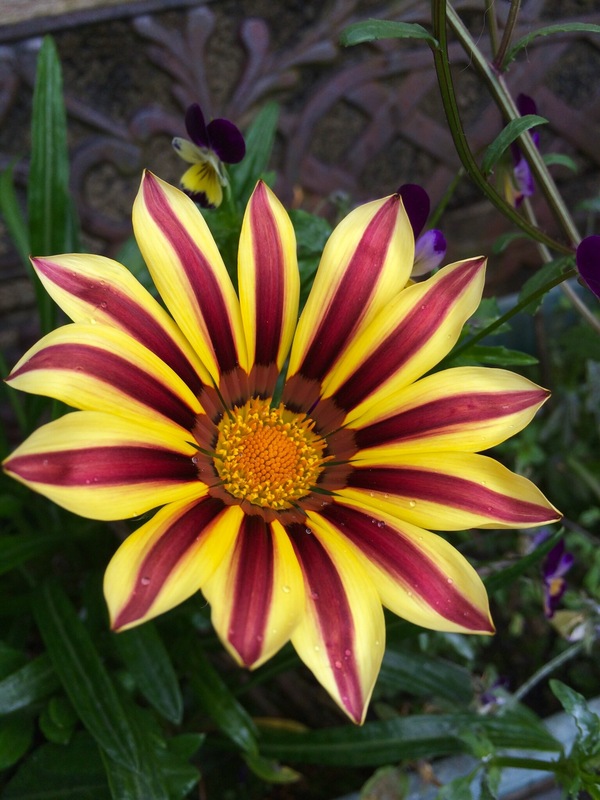 Gazania is almost a joyful word — totally apt for these gorgeous flowers. Gazanias are wonderful plants. Really colourful! That’s an impressive flower, and so striking! The only thing I managed to grow was a mould on my bread for eight grade science project. Lol…..these flowers are so dreamy. They must make you proud!